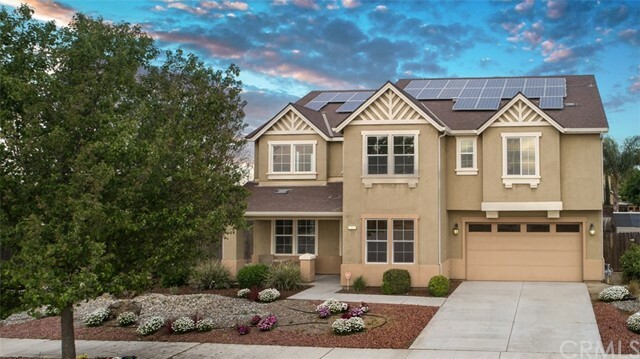 All Kingsburg homes currently listed for sale in Kingsburg as of 04/18/2019 are shown below. You can change the search criteria at any time by pressing the 'Change Search' button below. If you have any questions or you would like more information about any Kingsburg homes for sale or other Kingsburg real estate, please contact us and one of our knowledgeable Kingsburg REALTORS® would be pleased to assist you. "Custom, spacious and well maintained house for you to call home. This 5 bedroom, 3 bath, 3,372 sq. ft. home on a 10,375 sq. ft. lot has everything that you need and want. Some of the bonus features include an in ground swimming pool for the warm summers an office and a loft! You get a formal dining, living and family room along with a dual sided fireplace between the family and living rooms. This home is an entertainers delight with plenty of space to host large gatherings inside or outside. The kitchen has been upgraded with lots of granite counter space which includes a large island and tile backsplash. Two of the bathrooms have been remodeled as well. There is one bedroom downstairs with a built in murphys bed which could be used as a guest room or potential mother-in-law room with a full bathroom just outside the door. The backyard is surrounded by a 7+ foot block wall on all four sides. No neighbors have 2 story homes looking into backyard, VERY PRIVATE." "What a stunner! This spacious home in North Kingsburg is waiting for its next chapter. This home on a corner lot is an entertainer's dream boasting a living room, formal dining room, den, eat-in kitchen and that's not all! There's a bonus room downstairs that can be anything you desire...office, gym, meditation room. You name it! As you take in the vaulted ceilings and go upstairs, you'll find a loft area as well as 4 bedrooms and the laundry room. No lugging up laundry up and down the stairs. The spacious Master bedroom has an en-suite with soaker tub for hours of relaxation. Make your way to the backyard to find the inviting pool with a large backyard and covered patio. For your added enjoyment, there's a 6-person sauna. Imagine coming home and unwinding in your relaxing backyard! 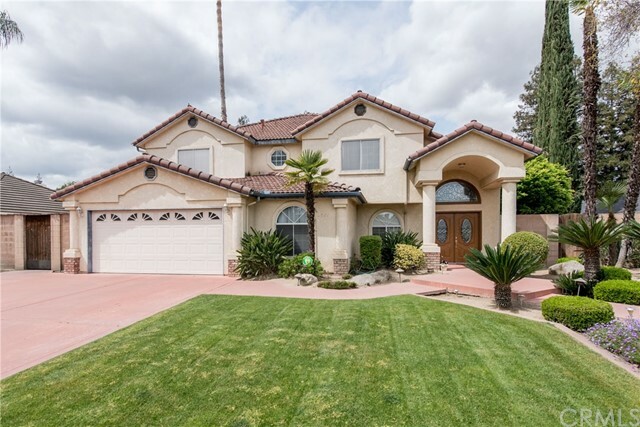 The possibilities are endless in this amazing home nestled in a quiet neighborhood of Kingsburg. Solar is a power purchase agreement. Buyer will need to qualify to assume the agreement. Cost is based on monthly usage and, per owners, hasn't gone over $300 in the middle of the summer with A/C running and pool features used."